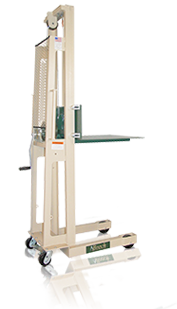 Manufactured within stringent quality standards, the Winch Platform Stacker provides a lower cost alternative to our Hydraulic Platform Stacker. Our Winch Platform Stacker, available in lift heights up to 80", features an oversized winch for ease of operation. It is available in two standard sizes for narrow or standard aisles. Lift heights of 60", 70", and 80". 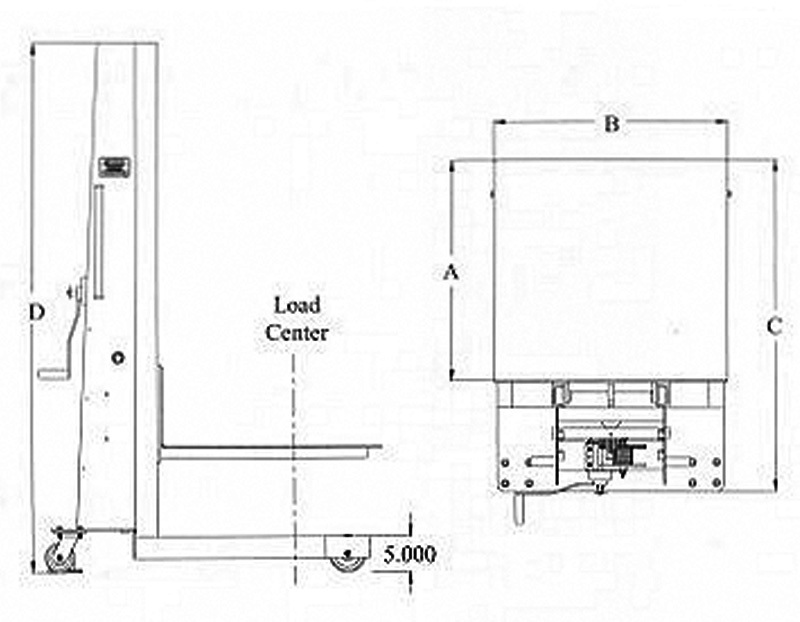 Welded, unitized - construction platform available in standard sizes of 24" x 24" or 30" x 32". 2" by 5" load wheels, 2" x 4" steering casters, phenolic wheels with roller bearings and grease fittings are standard.